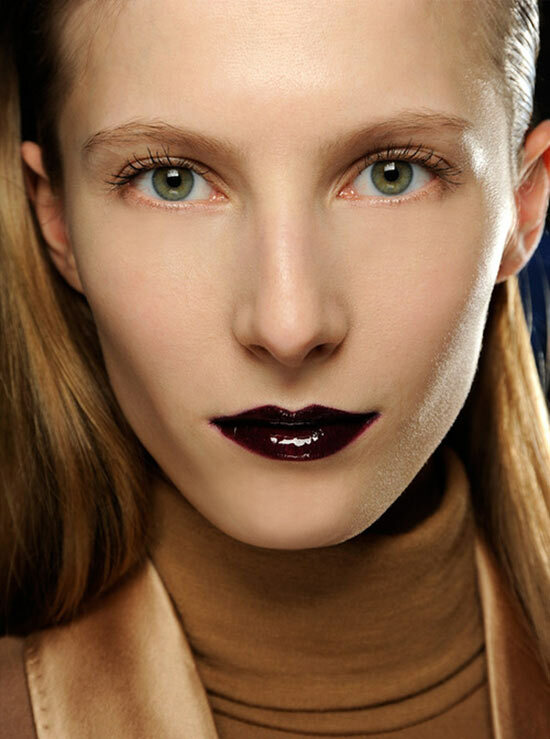 A glossy purple lip dominated the look at Veronique Branquinho A/W 2013 at Paris Fashion Week. 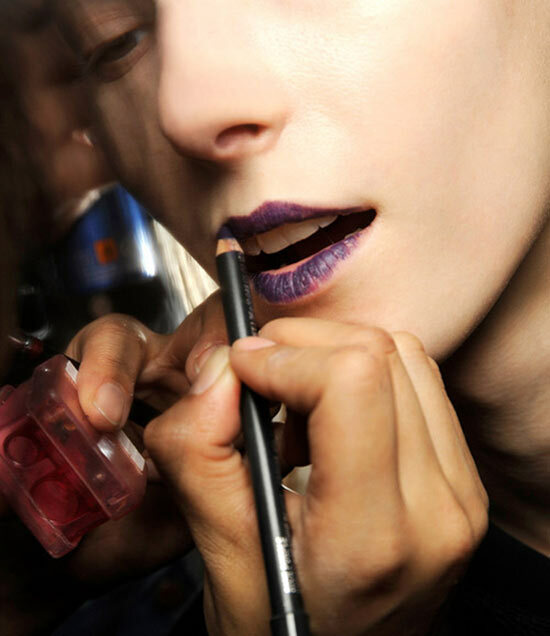 “The look is more about an aesthetic sophistication, punctuated with a clean, fresh, purple lip… it’s just gorgeous,” said lead makeup artist Inge Grognard working for M·A·C Cosmetics. * Mineralize Charged Water Face & Body mixed with Studio Finish SPF 15 Concealer – blended into skin to remove any redness while providing a luminous, clean finish. * M·A·C PRO White Face & Body – just a touch was blended into skin for a polished effect, using 252 Large Shade and 190 Foundation Brushes to apply. 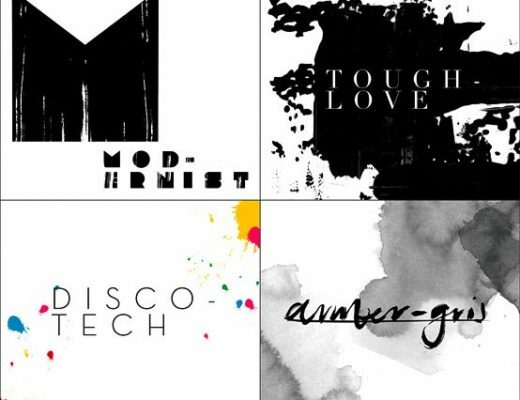 * M·A·C PRO Invisible Set Powder – applied only where needed to eliminate unwanted shine. Brows are brushed upwards to groom. 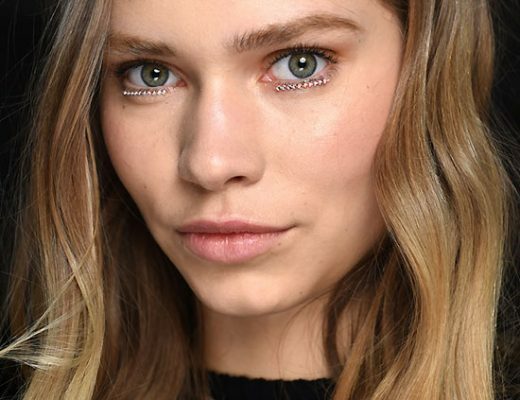 * Extended Play Lash Endlessly Black Mascara – a whisper amount is applied to lightly tint lashes. 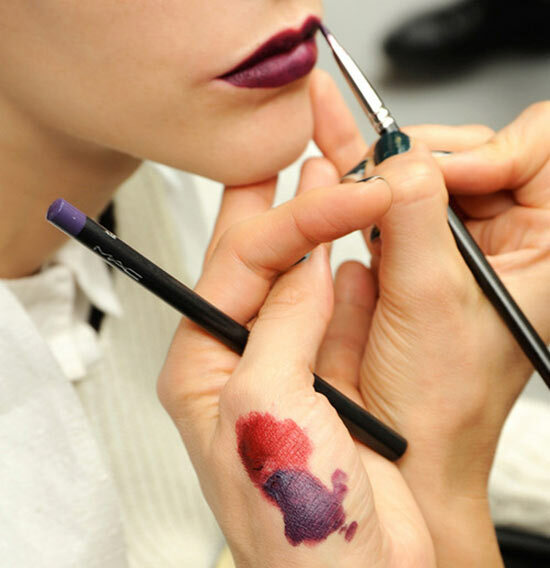 * M·A·C PRO Rich Purple Chromagraphic Pencil – layered over the lip’s natural shape, being careful to not overdraw. * Ruby Woo Lipstick – applied in opaque layer over lips with 213 FLUFF BRUSH. * Clear Lipglass – lacquered over lips for a glossy finish.